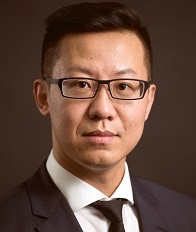 Dr. Miao Pan is an Assistant Professor in the Department of Electrical and Computer Engineering at University of Houston, and the Director of Cybersecurity, Cyber-Physical System, and Cognitive Radio Networking Laboratory (C3 Lab). He was a recipient of NSF CAREER Award in 2014. Dr. Pan was an Assistant Professor in the Department of Computer Science at Texas Southern University from September 2012 to August 2015. He received his Ph.D. degree in Electrical and Computer Engineering from University of Florida in August 2012, under the guidance of Prof. Yuguang Fang. Prior to that, he received his M.E. in Electrical and Computer Engineering from Beijing University of Posts & Telecommunications, China, in April, 2007, and B.E. in Electrical Engineering from Dalian University of Technology, China, in August, 2004, respectively. From January of 2007 to August of 2007, he had been working as a research intern in NTT DOCOMO Beijing Labs. NeTS: Medium: Collaborative Research: Riding the Stress Wave: Integrated Monitoring, Communications, and Networking for Subsea Infrastructure (CNS-1801925), PI. National Science Foundation, September 1, 2018 - August 31, 2021. This is a collaborative project with Dr. Gangbing Song, and Dr. Jiefu Chen at University of Houston, Dr. Aijun Song at University of Alabama and Dr. Xuemin Chen at Texas Southern University. University of Houston is the leading institution. WiFIUS: Collaborative Research: Ambient Re-Scatter Inspired Machine Type Communication for Heterogeneous IoT Systems (CNS-1702850), PI. National Science Foundation, April 1, 2017 - March 31, 2019. This is a collaborative project with Dr. Zhu Han at University of Houston, Dr. Riku Jäntti at Aalto University, Finland, and Dr. Jukka Lempiäinen at Tampere University of Technology, Finland. CPS: Synergy: Collaborative Research: DEUS: Distributed, Efficient, Ubiquitous and Secure Data Delivery Using Autonomous Underwater Vehicles (CNS-1646607), PI. National Science Foundation, January 1, 2017 - December 31, 2019. This is a collaborative project with Dr. Aaron Becker, Dr. Jiefu Chen and Dr. Zhu Han at University of Houston and Dr. Yahong Rosa Zheng at Lehigh University. University of Houston is the leading institution. More details can be found on the project webpage. CAREER: SpecMax: Spectrum Trading and Harvesting Designs for Multi-Hop Communications in Cognitive Radio Networks (CNS-1350230), PI. 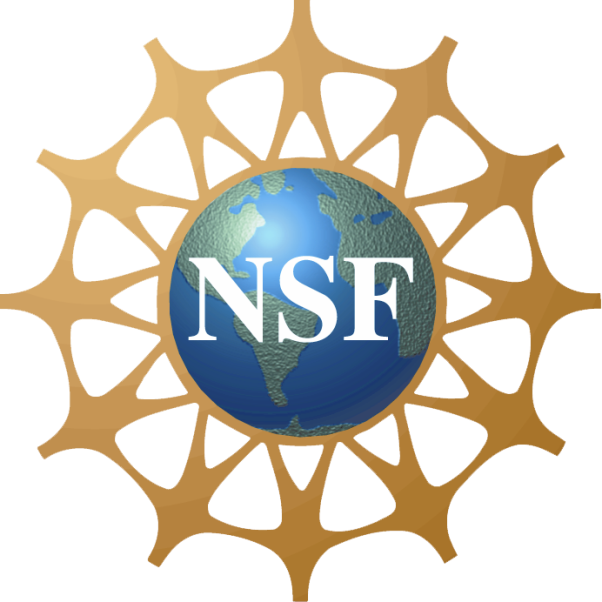 National Science Foundation, August 1, 2014 - July 31, 2019. More details can be found on the project webpage. EARS: Collaborative Research: Cognitive Mesh: Making Cellular Networks More Flexible (CNS-1343361), PI. National Science Foundation, January 1, 2014 - December 31, 2017. This is a collaborative project with Dr. Yuguang Fang at University of Florida and Dr. Pan Li at Case Western Reserve University. 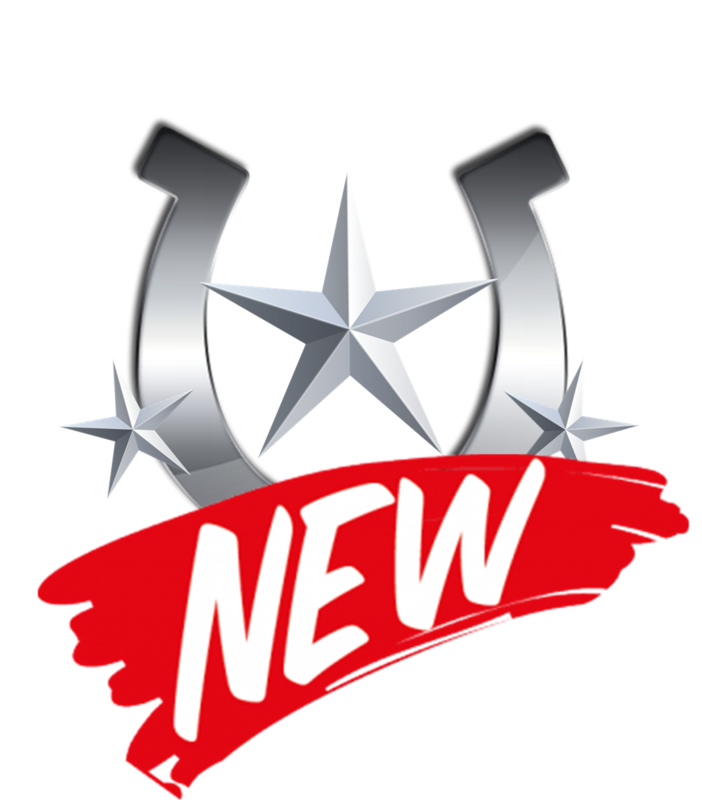 More details can be found on the project webpage. Real-Time Drilling Advisor-Applications of Video Analytics in Risk Detection, Co-PI. Shell Exploration and Production, September 1, 2018 - August 31, 2019. This is a collaborative project with Dr. Jiefu Chen (PI), Dr. Xuqing Wu, Dr. Xin Fu, and Dr. Zhu Han at University of Houston. Stress Wave Assisted Communications in Subsea Environments, Co-PI. Subsea Systems Institute, June 1, 2017 - August 31, 2018. This is a collaborative project with Dr. Gangbing Song (PI), Dr. Robert Stewart, and Dr. Jiefu Chen at University of Houston and Dr. Aijun Song at University of Alabama. DHS SLA: Preparing Technically Savvy Homeland Security Professionals for Maritime Transportation Security: Phase I (Award #-2014-ST-062-000057), Co-PI. 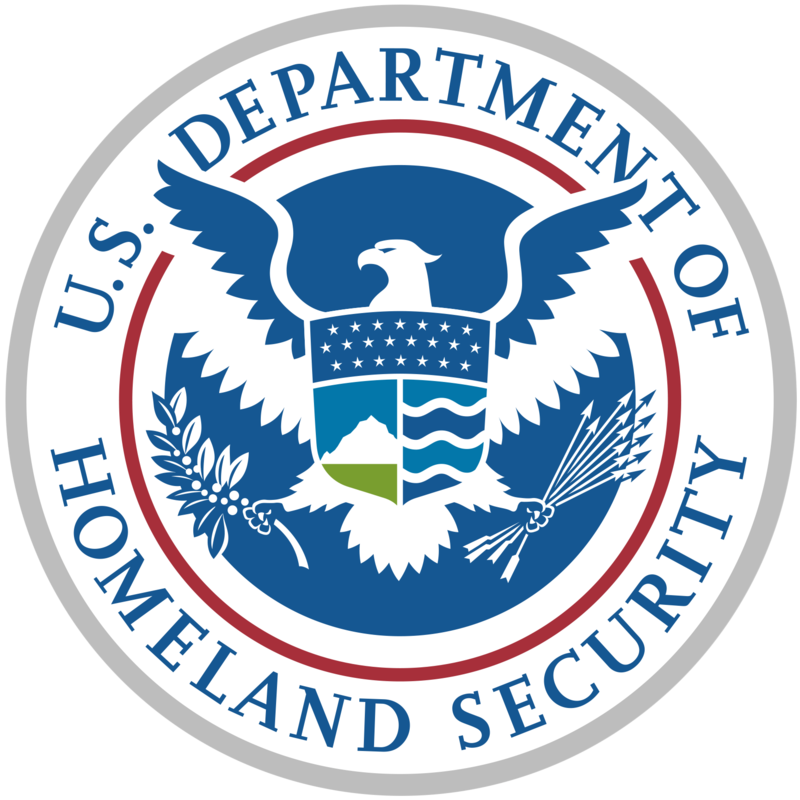 Department of Homeland Security, September 1, 2014 - August 31, 2015. This is a collaborative project with Dr. Yi Qi of Transportation Studies Department and Dr. Yunjiao Wang of Mathematics Department at Texas Southern University. 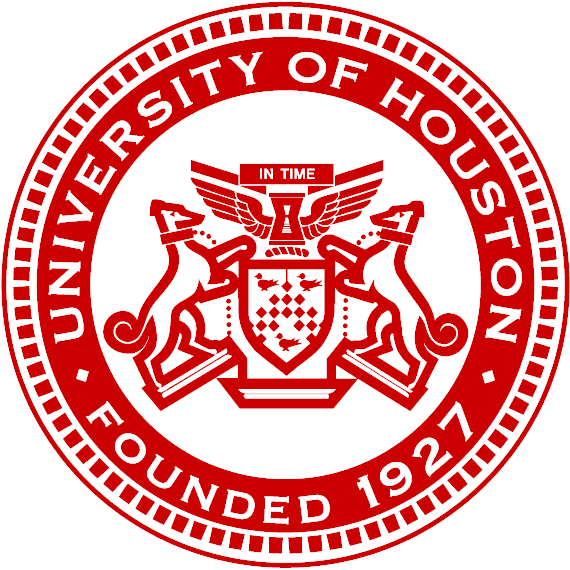 University of Houston Startup Equipment Support. University of Houston, September 1, 2015 - August 31, 2017. TSU Seed Grant: Spectrum Management in Multi-hop Cognitive Radio Networks: Architecture, Modeling and Design, PI. Texas Southern University, October 1, 2012 - August 31, 2013. Miao Pan, Jingyi Wang, Sai Mounika Errapotu, Xinyue Zhang, Jiahao Ding, Zhu Han, "Big Data Privacy Preservation for Cyber-Physical Systems," Springer, 2019. Xuanheng Li, Haichuan Ding, Yuguang Fang, Miao Pan, Pan Li, Xiaoxia Huang, and Savo Glisic, "Collaborative Spectrum Trading and Sharing for Cognitive Radio Networks," Springer Nature, 2017. Miao Pan, Ming Li, Pan Li, and Yuguang Fang, "Spectrum Trading in Multi-Hop Cognitive Radio Networks," Springer, 2015. Jie Wang, Qinghua Gao, Miao Pan, and Yuguang Fang, "Device-Free Wireless Sensing: Challenges, Opportunities, and Applications," IEEE Network, Vol. 32, No. 2, pp. 132-137, April 2018. Haichuan Ding, Yuguang Fang, Xiaoxia Huang, Miao Pan, Pan Li, and Savo Glisic, "Cognitive Capacity Harvesting Networks: Architectural Evolution Towards Future Cognitive Radio Networks," IEEE Communications Surveys and Tutorials, Vol. 19, No. 3, pp. 1902-1923, October 2017. Yanru Zhang, Miao Pan, Lingyang Song, Zaher Dawy, and Zhu Han, "A Survey of Contract Theory Based Incentive Mechanism Design in Wireless Networks," IEEE Wireless Communications, Vol. 24, No. 3, pp. 80-85, June 2017. Yunan Gu, Yanru Zhang, Lin X. Cai, Miao Pan, Lingyang Song, and Zhu Han, "LTE-Unlicensed Co-existence Mechanism: A Matching Game Framework," IEEE Wireless Communications, special issue for LTE in Unlicensed Spectrum, vol. 23, no. 6, pp. 54-60, December 2016. Dian Shi, Jiahao Ding, Sai Mounika Errapotu, Hao Yue, Wenjun Xu, Xiangwei Zhou, and Miao Pan, "Deep Q-Network Based Route Scheduling for TNC Vehicles with Passengers' Location Differential Privacy", accepted by IEEE Internet of Things Journal (J-IoT). Jingyi Wang, Xinyue Zhang, Qixun Zhang, Ming Li, Yuanxiong Guo, Zhiyong Feng, and Miao Pan, "Data-Driven Spectrum Trading with Secondary Users' Differential Privacy Preservation", accepted by IEEE Transactions on Dependable and Secure Computing (TDSC). Xiaorui Ma, Yunong Zhao, Liang Zhang, Qinghua Gao, Miao Pan, and Jie Wang, "Practical Device-Free Gesture Recognition Using WiFi Signals Based on Meta-Learning", accepted by IEEE Transactions on Industrial Informatics (TII). Mohamed A. ElMossallamy, Miao Pan, Riku Jäntti, Karim G. Seddik, Geoffrey Ye Li, and Zhu Han, "Noncoherent Backscatter Communications over Ambient OFDM Signals", accepted by IEEE Transactions on Communications (TCOM). Lixin Li, Jiao He, Lie-Liang Yang, Zhu Han, Miao Pan, Wei Chen, Huisheng Zhang, and Xu Li, "Spectral- and Energy-Efficiency of Multi-Pair Two-Way Massive MIMO Relay Systems Experiencing Channel Aging", accepted by IEEE Access. Xiaoyan Yin, Ruzhao Jia, Yanjiao Chen, and Miao Pan, "Cooperative Transmission with Priority and Fairness in Edge Computing Systems", accepted by IEEE Access. Qixun Zhang, Menglei Jiang, Zhiyong Feng, Wei Li, Wei Zhang, and Miao Pan, "IoT Enabled UAV: Network Architecture and Routing Algorithm", accepted by IEEE Internet of Things Journal (J-IoT). Sai Mounika Errapotu, Hongning Li, Rong Yu, Shaolei Ren, Qingqi Pei, Miao Pan, and Zhu Han, "Clock Auction Inspired Privacy Preserving Emergency Demand Response in Colocation Data Centers", accepted by IEEE Transactions on Dependable and Secure Computing (TDSC). Yuanxiong Guo, Miao Pan, and Yanmin Gong, "Aggregation-Based Colocation Datacenter Energy Management in Wholesale Markets", accepted by IEEE Transactions on Cloud Computing (TCC). Yuanxiong Guo, Miao Pan, Yanmin Gong, and Yuguang Fang, "Dynamic Multi-Tenant Coordination for Sustainable Colocation Data Centers", accepted by IEEE Transactions on Cloud Computing (TCC). Xinyue Zhang, Jingyi Wang, Yong Li, Riku Jäntti, Miao Pan, and Zhu Han, "Catching All Pokemon: Virtual Reward Optimization with Tensor Voting Based Trajectory Privacy", IEEE Transactions on Vehicular Technology (TVT), Vol. 68, No. 1, pp. 883-892, January 2019. Sai Mounika Errapotu, Jingyi Wang, Yanmin Gong, Jin-Hee Cho, Miao Pan, and Zhu Han, "SAFE: Secure Appliance Scheduling for Flexible and Efficient Energy Consumption for Smart Home IoT", IEEE Internet of Things Journal (J-IoT), Vol. 5, No. 6, pp. 4380-4391, December 2018. Xinyue Zhang, Jingyi Wang, Minglei Shu, Yinglong Wang, Miao Pan, and Zhu Han, "TPP: Trajectory Privacy Preservation against Tensor Voting Based Inference Attacks", IEEE Access, Vol. 6, pp. 77975-77985, December 2018. Chenyu Wang, Ning Wang, Siu-Chun Ho, Miao Pan, and Gangbing Song, "Design of a Novel Wearable Sensor Device for Real-Time Bolted Joints Health Monitoring", IEEE Internet of Things Journal (J-IoT), Vol. 5, No. 6, pp. 5307-5316, December 2018. Xingwang Wang, Debing Wei, Xiaohui Wei, Junhong Cui, and Miao Pan, "HAS4: A Heuristic Adaptive Sink Sensor Set Selection for Underwater AUV-Aid Data Gathering Algorithm", Sensors - Special Issue Underwater Sensing, Communication, Networking and Systems, Vol. 18, No. 12, pp. 4110-4127, November 2018. Sai Mounika Errapotu, Jingyi Wang, Xuanheng Li, Zaixin Lu, Wei Li, Miao Pan, and Zhu Han, "Bid Privacy Preservation in Matching Based Multi-Radio Multi-Channel Spectrum Trading", IEEE Transactions on Vehicular Technology (TVT), Vol. 67, No. 9, pp. 8336-8347, September 2018. Xumin Huang, Rong Yu, Miao Pan, and Lei Shu, "Secure Roadside Unit Hotspot against Eavesdropping Based Traffic Analysis in Edge Computing based Internet of Vehicles", IEEE Access, Vol. 6, pp. 62371-62383, September 2018. Yuanxiong Guo, Hongning Li and Miao Pan, "Colocation Data Center Demand Response using Nash Bargaining Theory", IEEE Transactions on Smart Grid (TSG), Vol. 9, No. 5, pp. 4017-4026, September 2018. Yunan Gu, Zheng Chang, Miao Pan, Lingyang Song, and Zhu Han, "Joint Radio and Computational Resource Allocation in IoT Fog Computing", IEEE Transactions on Vehicular Technology (TVT), Vol. 67, No. 8, pp. 7475-7484, August 2018. Haijun Zhang, Ning Yang, Keping Long, Miao Pan, George K. Karagiannidis and Victor C.M. Leung, "Secure Communications in NOMA System: Subcarrier Assignment and Power Allocation", IEEE Journal on Selected Areas in Communications (JSAC), Vol. 36, No. 7, pp. 1441-1452, July 2018. Jingyi Wang, Sai Mounika Errapotu, Yanmin Gong, Lijun Qian, Riku Jäntti, Miao Pan, and Zhu Han, "Data-Driven Optimization Based Primary Users' Operational Privacy Preservation", IEEE Transactions on Cognitive Communications and Networking (TCCN), Vol. 4, No. 2, pp. 357-367, June 2018. Jingyi Wang, Yan Long, Jie Wang, Sai Mounika Errapotu, Hongyan Li, Miao Pan, and Zhu Han, "D-FROST: Distributed Frequency Reuse Based Opportunistic Spectrum Trading via Matching with Evolving Preferences", IEEE Transactions on Wireless Communications (TWC), Vol. 17, No. 6, pp. 3794-3806, June 2018. Chensi Zhang, Jianhua Ge, Miao Pan, Fengkui Gong, and Jinjin Men, "One Stone Two Birds: A Joint Thing and Relay Selection for Diverse IoT Networks", IEEE Transactions on Vehicular Technology (TVT), Vol. 67, No. 6, pp. 5424-5434, June 2018. Qing Ji, Zhi Ding, Ning Wang, Miao Pan, and Gangbing Song, "A Novel Waveform Optimization Scheme for Piezoelectric Sensors Wire-Free Charging in the Tightly Insulated Environment", IEEE Internet of Things Journal (J-IoT), Vol. 5, No. 3, pp. 1936-1946, June 2018. Zi Li, Qingqi Pei, Ian Markwood, Yao Liu, Miao Pan, and Hongning Li, "Location Privacy Violation via GPS-agnostic Smart Phone Car Tracking", IEEE Transactions on Vehicular Technology (TVT), Vol. 67, No. 6, pp. 5042-5053, June 2018. Haichuan Ding, Chi Zhang, Xuanheng Li, Jianqing Liu, Miao Pan, Yuguang Fang, and Shigang Chen, "Session-Based Cooperation in Cognitive Radio Networks: A Network-Level Approach", IEEE/ACM Transactions on Networking (ToN), Vol. 26, No. 2, pp. 685-698, April 2018. Jie Wang, Liming Zhang, Qinghua Gao, Miao Pan, and Hongyu Wang, "Device-free Wireless Sensing in Complex Scenarios Using Spatial Structural Information", IEEE Transactions on Wireless Communications (TWC), vol. 17, no. 4, pp. 2432-2442, April 2018. Yanru Zhang, Yunan Gu, Miao Pan, Nguyen H. Tran, Zaher Dawy and Zhu Han, "Multi-Dimensional Incentive Mechanism in Mobile Crowdsourcing with Moral Hazard", IEEE Transactions on Mobile Computing (TMC), Vol. 17, No. 3, pp. 604-616, March 2018. Wenjun Xu, Xue Li, Chia-Han Lee, Miao Pan, and Zhiyong Feng, "Joint Sensing Duration Adaptation, User Matching, and Power Allocation for Cognitive OFDM-NOMA Systems", IEEE Transactions on Wireless Communications (TWC), vol. 17, no. 2, pp. 1269-1282, February 2018. Yunan Gu, Chunxiao Jiang, Lin X. Cai, Miao Pan, Lingyang Song, and Zhu Han, "Dynamic Path To Stability in LTE-Unlicensed with User Mobility: A Matching Framework", IEEE Transactions on Wireless Communications (TWC), Vol. 16, No. 7, pp. 4547-4561, July 2017. Yanru Zhang, Chunxiao Jiang, Lingyang Song, Miao Pan, Zaher Dawy and Zhu Han, "Incentive Mechanism for Mobile Crowdsourcing Using an Optimized Tournament Model", IEEE Journal on Selected Areas in Communications (JSAC), Vol. 35, No. 4, pp. 880-892, April 2017. Xuanheng Li, Yi Sun, Yuanxiong Guo, Xin Fu and Miao Pan, "Dolphins First: Dolphin-Aware Communications in Multi-hop Underwater Cognitive Acoustic Networks", IEEE Transactions on Wireless Communications (TWC), Vol. 16, No. 4, pp. 2043-2056, April 2017. Yanru Zhang, Lingyang Song, Miao Pan, Zaher Dawy and Zhu Han, "Non-Cash Auction for Spectrum Trading in Cognitive Radio Networks: A Contract Theoretical Model with Joint Adverse Selection and Moral Hazard", IEEE Journal on Selected Areas in Communications (JSAC), Vol. 35, No. 3, pp. 643-653, March 2017. Yi Liu, Rong Yu, Miao Pan, Yan Zhang and Shengli Xie, "SD-MAC: Spectrum Database-Driven MAC Protocol for Cognitive Machine-to-Machine Networks", IEEE Transactions on Vehicular Technology (TVT), Vol. 66, No. 2, pp. 1456-1467, February 2017. Zaixin Lu, Wei Wayne Li, Yawei Pang, Miao Pan, Weili Wu and Zhu Han, "Collaborative Data and Energy Transmission for Energy-rechargeable Mobile Devices", IEEE Transactions on Wireless Communications (TWC), Vol. 15, No. 12, pp. 8525-8536, December 2016. Weixian Liao, Ming Li, Sergio Salinas, Pan Li, and Miao Pan, "Energy-Source-Aware Cost Optimization for Green Cellular Networks with Strong Stability", IEEE Transactions on Emerging Topics in Computing (TETC), Vol. 4, No. 4, pp. 541-555, December 2016. Jingyi Wang, Wenbo Ding, Yuanxiong Guo, Chi Zhang, Miao Pan and Jian Song, "M3-STEP: Matching Based Multi-Radio Multi-Channel Spectrum Trading with Evolving Preferences", IEEE Journal on Selected Areas in Communications (JSAC), Vol. 34, No. 11, pp. 3014-3024, November 2016. Xuanheng Li, Haichuan Ding, Miao Pan, Yi Sun and Yuguang Fang, "Users First: Service-Oriented Spectrum Auction with a Two-Tier Framework Support", IEEE Journal on Selected Areas in Communications (JSAC), Vol. 34, No. 11, pp. 2999-3013, November 2016. Erte Pan, Miao Pan, and Zhu Han, "Tensor Voting Techniques and Applications in Mobile Trace Inference," (Invited) IEEE Access, Special Issue on Artificial Intelligence Enabled Networking. Jie Wang, Qinghua Gao, Miao Pan, Xiao Zhang, Yan Yu and Hongyu Wang, "Towards Accurate Device-Free Wireless Localization with a Saddle Surface Model", IEEE Transactions on Vehicular Technology (TVT), Vol. 65, No. 8, pp. 6665-6677, August 2016. Yanru Zhang, Lanchao Liu, Yunan Gu, Dusit Niyato, Miao Pan and Zhu Han, "Offloading in Software Defined Network at Edge with Information Asymmetry: A Contract Theoretical Approach", (Invited) Journal of Signal Processing Systems, Vol. 81, No. 2, pp. 1-13, November 2015. Yunan Gu, Yanru Zhang, Miao Pan and Zhu Han, "Matching and Cheating in Device to Device Communications Underlaying Cellular Networks", IEEE Journal on Selected Areas in Communications (JSAC), Vol. 33, No. 10, pp. 2156-2166, October 2015. Yun Meng, Jiandong Li, Hongyan Li and Miao Pan, "A Transformed Conflict Graph Based Resource Allocation Scheme Combining Interference Alignment in OFDMA Femtocell Networks", IEEE Transactions on Vehicular Technology (TVT), Vol. 64, No. 10, pp. 4728-4737, October 2015. Han Zhao, Miao Pan, Xinxin Liu, Xiaolin Li and Yuguang Fang, "Exploring Fine-Grained Resource Rental Planning in Cloud Computing", IEEE Transactions on Cloud Computing (TCC), Vol. 3, No. 3, pp. 304-317, August 2015. Zaixin Lu, Wei Wayne Li and Miao Pan, "Maximum lifetime scheduling for target coverage and data collection in wireless sensor networks", IEEE Transactions on Vehicular Technology (TVT), Vol. 64, No. 2, pp. 714-727, February 2015. Yan Long, Hongyan Li, Hao Yue, Miao Pan and Yuguang Fang, "SUM: Spectrum Utilization Maximization in Energy-Constrained Cooperative Cognitive Radio Networks", IEEE Journal on Selected Areas in Communications (JSAC), Vol. 32, No. 11, pp. 2105-2116, November 2014. Hao Yue, Chi Zhang, Miao Pan, Yuguang Fang and Shigang Chen, "Unknown-target Information Collection in Sensor-enabled RFID Systems", IEEE/ACM Transactions on Networking (ToN), Vol. 22, No. 4, pp. 1164-1175, August 2014. Miao Pan, Pan Li, Yang Song, Yuguang Fang, Phone Lin and Savo Glisic, "When Spectrum Meets Clouds: Optimal Session Based Spectrum Trading under Spectrum Uncertainty", IEEE Journal on Selected Areas in Communications (JSAC), Vol. 32, No. 3, pp. 615-627, March 2014. Yan Long, Hongyan Li, Miao Pan, Yuguang Fang and Tan F. Wong, "A Fair QoS-aware Resource Allocation Scheme for Multi-Radio Multi-Channel Networks", IEEE Transactions on Vehicular Technology (TVT), Vol. 62, No. 7, pp. 3349-3358, September 2013..
Yuanxiong Guo, Miao Pan, Yuguang Fang and Pramod P. Khargonekar, "Decentralized Coordination of Energy Utilization for Residential Households in the Smart Grid", IEEE Transactions on Smart Grid (TSG), Vol. 4, No. 3, pp. 1341-1350, September 2013. Miao Pan, Hao Yue, Chi Zhang and Yuguang Fang, "Path Selection under Budget Constraints in Multi-hop Cognitive Radio Networks", IEEE Transactions on Mobile Computing (TMC), Vol. 12, No. 6, pp. 1133-1145, June 2013. Hao Yue, Miao Pan, Yuguang Fang and Savo Glisic, "Spectrum and Energy Efficient Relay Station Placement in Cognitive Radio Networks", IEEE Journal on Selected Areas in Communications (JSAC), Vol. 31, No. 5, pp. 883-893, May 2013. Miao Pan, Hao Yue and Yuguang Fang, "The X Loss: Band-Mix Selection for Opportunistic Spectrum Accessing with Uncertain Supply from Primary Service Providers", IEEE Transactions on Mobile Computing (TMC), Vol. 11, No. 12, pp. 2133-2144, December 2012. Yuanxiong Guo, Miao Pan and Yuguang Fang, "Optimal Power Management of Residential Customers in the Smart Grid", IEEE Transactions on Parallel and Distributed Systems (TPDS), Vol. 23, No. 9, pp. 1593-1606, September 2012. Pan Li, Miao Pan and Yuguang Fang, "Capacity Bounds of Three-Dimensional Wireless Ad Hoc Networks", IEEE/ACM Transactions on Networking (ToN), Vol. 20, No. 4, pp. 1304-1315, August 2012. Miao Pan, Pan Li and Yuguang Fang, "Cooperative Communication Aware Link Scheduling for Cognitive Vehicular Ad-hoc Networks", IEEE Journal on Selected Areas in Communications (JSAC), Vol. 30, No. 4, pp. 760-768, May 2012. Miao Pan, Xiaoyan Zhu and Yuguang Fang, "Using Homomorphic Encryption to Secure the Combinatorial Spectrum Auction without the Trustworthy Auctioneer", Wireless Networks, Vol. 18, No. 2, pp. 113-128, February 2012. Miao Pan, Chi Zhang, Pan Li and Yuguang Fang, "Spectrum Harvesting and Sharing in Multi-hop Cognitive Radio Networks under Uncertain Spectrum Supply", IEEE Journal on Selected Areas in Communications (JSAC), Vol. 30, No. 2, pp. 369-378, February 2012. Miao Pan, Jinyuan (Stella) Sun and Yuguang Fang, "Purging the Back-room Dealing: Secure Spectrum Auction Leveraging Paillier Cryptosystem", IEEE Journal on Selected Areas in Communications (JSAC), Vol. 29, No. 4, pp. 866-876, April 2011. Jingyi Wang, Xinyue Zhang, Wenjun Xu, Qixun Zhang, Zhiyong Feng and Miao Pan, "Data-Driven Small Cell Placement Optimization with Users' Differential Privacy for Wireless NGNs", International Conference on Distributed Computing Systems (ICDCS'19), Dallas, TX, July 7-10, 2019. Dian Shi, Xuanheng Li, Ming Li, Jie Wang, Pan Li and Miao Pan, "Optimal Transportation Network Company Vehicle Dispatching via Deep Deterministic Policy Gradient", International Conference on Algorithms, Systems, and Applications of Wireless Networks (WASA'19), Honolulu, HI, June 24-26, 2019. Mingyan Xiao, Ming Li, Linke Guo, Miao Pan, Zhu Han, and Pan Li, "Securing Task Allocation in Mobile Crowd Sensing: An Incentive Design Approach", IEEE Conference on Communications and Network Security (CNS'19), Washington, DC, June 10-12, 2019. Yuanyuan Wang, Kai Wan, Chi Zhang, Zhang Xia, and Miao Pan, "Optimized Real-time Flight Data Streaming via Air-to-Air Links for Civil Aviation", IEEE International Conference on Communications (ICC'19), Shanghai, China, May 20-24, 2019. Xufei Wang, Weixian Liao, Yifan Guo, Lixing Yu, Qianlong Wang, Miao Pan, and Pan Li, "PerRNN: Personalized Recurrent Neural Networks for Acceleration-based Human Activity Recognition", IEEE International Conference on Communications (ICC'19), Shanghai, China, May 20-24, 2019. Lin Yao, Yuxiang Jia, Haijun Zhang, Keping Long, Miao Pan, and Shui Yu, "A Decentralized Private Data Transaction Pricing and Quality Control Method", IEEE International Conference on Communications (ICC'19), Shanghai, China, May 20-24, 2019. Yixin Wang, Wenjun Xu, Jianqing Liu, Miao Pan, Ping Zhang, and Jiaru Lin, "An Energy-Efficient Design for Mobile UAV Fire Surveillance Networks", IEEE International Conference on Communications (ICC'19), Shanghai, China, May 20-24, 2019. Jinglin Zhang, Wenjun Xu, Hui Gao, Miao Pan, Zhiyong Feng, and Zhu Han, "Position-Attitude Prediction based Beam Tracking for UAV mmWave Communications", IEEE International Conference on Communications (ICC'19), Shanghai, China, May 20-24, 2019. Ruliu Nie, Wenjun Xu, Zhi Zhang, Ping Zhang, Miao Pan, and Jiaru Lin, "Max-Min Distance Clustering Based Distributed Cooperative Spectrum Sensing in Cognitive UAV Networks", IEEE International Conference on Communications (ICC'19), Shanghai, China, May 20-24, 2019. Mohamed A. ElMossallamy, Zhu Han, Miao Pan, Riku Jäntti, Karim G. Seddik, and Geoffrey Ye Li, "Noncoherent Frequency Shift Keying for Ambient Backscatter over OFDM Signals", IEEE International Conference on Communications (ICC'19), Shanghai, China, May 20-24, 2019. Xuanheng Li, Haichuan Ding, Miao Pan, Jie Wang, Haixia Zhang, and Yuguang Fang, "Data-Driven Service Provisioning over Shared Spectrums with Statistical QoS Guarantee", IEEE Wireless Communications and Networking Conference (WCNC'19), Marrakech, Morocco, April 15-18, 2019. Xiaopeng Liang, Wenjun Xu, Miao Pan, Qian Deng, Jiaru Lin, "Capacity Enhancement for Energy-Harvesting Cognitive Radio Networks: A NOMA-Enabled Joint Design", IEEE Wireless Communications and Networking Conference (WCNC'19), Marrakech, Morocco, April 15-18, 2019. Xinyue Zhang, Jingyi Wang, Hongning Li, Yuanxiong Guo, Qingqi Pei, Pan Li, and Miao Pan, "Data-Driven Caching with Users' Local Differential Privacy in Information-Centric Networks", IEEE Global Communications Conference (GLOBECOM'18), Abu Dhabi, UAE, December 9-13, 2018. Jingyi Wang, Xinyue Zhang, Haijun Zhang, Hai Lin, Hideki Tode, Miao Pan, and Zhu Han, "Data-Driven Optimization for Utility Providers with Differential Privacy of Users' Energy Profile", IEEE Global Communications Conference (GLOBECOM'18), Abu Dhabi, UAE, December 9-13, 2018. Debing Wei, Li Yan, Xuanheng Li, Jie Wang, Jiefu Chen, Miao Pan, and Yahong Rosa Zheng, "Ferrite Assisted Geometry-Conformal Magnetic Induction Antenna and Subsea Communications for AUVs", IEEE Global Communications Conference (GLOBECOM'18), Abu Dhabi, UAE, December 9-13, 2018. Dian Shi, Jiahao Ding, Sai Mounika Errapotu, Hao Yue, Wenjun Xu, Xiangwei Zhou, and Miao Pan, "Deep Q-Network Based Route Scheduling for Transportation Network Company Vehicles", IEEE Global Communications Conference (GLOBECOM'18), Abu Dhabi, UAE, December 9-13, 2018. Mohamed A. ElMossallamy, Zhu Han, Miao Pan, Riku Jäntti, Karim G. Seddik, and Geoffrey Ye Li, "Backscatter Communications over Ambient OFDM Signals using Null Subcarriers", IEEE Global Communications Conference (GLOBECOM'18), Abu Dhabi, UAE, December 9-13, 2018. Liming Zhang, Jie Wang, Qinghua Gao, Xuanheng Li, Miao Pan, and Yuguang Fang, "LetFi: Letter Recognition in the Air Using CSI", IEEE Global Communications Conference (GLOBECOM'18), Abu Dhabi, UAE, December 9-13, 2018. Jiaqi Liu, Shengjie Guo, Sa Xiao, Miao Pan, Xiangwei Zhou, Geoffrey Ye Li, Gang Wu, and Shaoqian Li, "Resource Allocation for Cooperative D2D-Enabled Wireless Caching Networks", IEEE Global Communications Conference (GLOBECOM'18), Abu Dhabi, UAE, December 9-13, 2018. Debing Wei, Steban Soto, Javier Garcia, Aaron Becker, Li Wang, and Miao Pan, "ROV Assisted Magnetic Induction Communication Field Tests in Underwater Environments", ACM International Conference on Underwater Networks and Systems (WUWNet'18), Shenzhen, China, December 3-5, 2018. Ruifeng Duan, Riku Jäntti, Mohamed A ElMossallamy, Zhu Han, and Miao Pan, "Multi-Antenna Receiver for Ambient Backscatter Communication Systems", IEEE International Workshop on Signal Processing Advances in Wireless Communications (SPAWC'18), Kalamata, Greece, June 25-28, 2018. Khaled Rabieh, Miao Pan, Zhu Han, and Vitaly Ford, "SRPV: A Scalable Revocation Scheme for Pseudonyms-based Vehicular Ad Hoc Networks", IEEE International Conference on Communications (ICC'18), Kansas City, MO, May 20-24, 2018. Debing Wei, Li Yan, Xuanheng Li, Yi Sun, Dongfeng Yuan, Jiefu Chen, and Miao Pan, "Exploiting Magnetic Field Analysis to Characterize MI Wireless Communications in Subsea Environments", International Conference on Computing, Networking and Communications (ICNC'18), Maui, HI, March 5-8, 2018. Li Yan, Debing Wei, Miao Pan, and Jiefu Chen, "Downhole wireless communication using magnetic induction technique", United States National Committee of URSI National Radio Science Meeting (USNC-URSI NRSM'18), Boulder, CO, January 4-7, 2018. Zaixin Lu, Jd Youngs, Zhi Chen, and Miao Pan, "Novel Scheduling for Energy Management in Microgrid", International Conference on Combinatorial Optimization and Applications (COCOA'17), Shanghai, China, December 16-18, 2017. Li Yan, Debing Wei, Miao Pan, and Jiefu Chen, "High speed borehole telemetry system using magnetic induction", International Applied Computational Electromagnetics Society Symposium, Suzhou, Jiangsu, China, August 1-4, 2017. Oluwaseyi Omotere, Lijun Qian, Riku Jäntti, Miao Pan, and Zhu Han, "Big RF Data Assisted Cognitive Radio Network Coexistence in 3.5GHz Band", International Conference on Computer Communications and Networks (ICCCN'17), Vancouver, Canada, July 31-August 3, 2017. Zhe Yu, Yuanxiong Guo, and Miao Pan, "Coalitional Datacenter Energy Cost Optimization in Electricity Markets", ACM International Conference on Future Energy Systems (ACM e-Energy'17), Hong Kong, China, May 17-19, 2017. Sai Mounika Errapotu, Justin Loveless, Rong Yu, Shaolei Ren, Miao Pan, and Zhu Han, "Privacy Preserving Clock Auction for Emergency Demand Response in Colocation Data Centers", IEEE International Conference on Communications (ICC'17), Paris, France, May 21-25, 2017. Yunan Gu, Li Wang, Miao Pan and Zhu Han, "Exploiting the Stable Fixture Matching Game for Mobile Crowd Sensing: A Local Event Sharing Framework", IEEE International Conference on Communications (ICC'17), Paris, France, May 21-25, 2017. Li Yan, Debing Wei, Miao Pan, and Jiefu Chen, "Magnetic Induction for MWD Telemetry System", 2017 Texas Symposium on Wireless and Microwave Circuits and Systems, Waco, TX, 30-31 March, 2017. Sai Mounika Errapotu, Jingyi Wang, Zaixin Lu, Wei Li, Miao Pan, and Zhu Han, "Bidding Privacy Preservation for Dynamic Matching Based Spectrum Trading", IEEE Global Communications Conference (GLOBECOM'16), Washington, DC, December 4-8, 2016. Jingyi Wang, Wenbo Ding, Yuanxiong Guo, Chi Zhang, Miao Pan, and Jian Song, "Dynamic Matching Based Distributed Spectrum Trading in Multi-Radio Multi-Channel CRNs", IEEE Global Communications Conference (GLOBECOM'16), Washington, DC, December 4-8, 2016. Luyao Niu, Yuanxiong Guo, Hongning Li, and Miao Pan, "A Nash Bargaining Approach to Emergency Demand Response in Colocation Data Centers", IEEE Global Communications Conference (GLOBECOM'16), Washington, DC, December 4-8, 2016. Yunan Gu, Lin X. Cai, Miao Pan, Lingyang Song and Zhu Han, "Exploiting the Stable Fixture Matching Game for Content Sharing in D2D-based LTE-V2X Communications", IEEE Global Communications Conference (GLOBECOM'16), Washington, DC, December 4-8, 2016. Jingyi Wang, Yan Long, Jie Wang, Sai Mounika Errapotu, Yuanxiong Guo and Miao Pan, "Distributed Spectrum Trading via Dynamic Matching with Evolving Preferences", IEEE/CIC International Conference on Communications in China (ICCC'16), Chengdu, China, July 27-29, 2016. Yunan Gu, Yanru Zhang, Lin X. Cai, Miao Pan, Lingyang Song and Zhu Han, "Exploiting Student-Project Allocation Matching for Spectrum Sharing in LTE-Unlicensed", IEEE Global Communications Conference (GLOBECOM'15), San Diego, CA, December 6-10, 2015. Yanru Zhang, Yunan Gu, Lingyang Song, Miao Pan, Zaher Dawy and Zhu Han, "Tournament Based Incentive Mechanism Designs for Mobile Crowdsourcing", IEEE Global Communications Conference (GLOBECOM'15), San Diego, CA, December 6-10, 2015. Yuanxiong Guo and Miao Pan, "Coordinated Energy Management for Colocation Data Centers in Smart Grids", IEEE International Conference on Smart Grid Communications (SmartGridComm 2015), Miami, FL, November 2-5, 2015. Yanru Zhang, Yunan Gu, Miao Pan, Zaher Dawy, Lingyang Song, and Zhu Han, "Financing Contract with Adverse Selection and Moral Hazard for Spectrum Trading in Cognitive Radio Networks", (invited), IEEE China Summit and International Conference on Signal and Information Processing (ChinaSIP'15), Chengdu, China, July 12-15, 2015. Yunan Gu, Yanru Zhang, Miao Pan and Zhu Han, "Student Admission Matching based Content-Cache Allocation", IEEE Wireless Communications and Networking Conference (WCNC'15), New Orleans, LA, March 9-12, 2015. Fahira Sangare, Ali Arab, Miao Pan, Lijun Qian, Suresh Khator and Zhu Han, "RF Energy Harvesting for WSNs via Dynamic Control of Unmanned Vehicle Charging", IEEE Wireless Communications and Networking Conference (WCNC'15), New Orleans, LA, March 9-12, 2015. Yanru Zhang, Yunan Gu, Lanchao Liu, Miao Pan, Zaher Dawy and Zhu Han, "Incentive Mechanism in Crowdsourcing with Moral Hazard", IEEE Wireless Communications and Networking Conference (WCNC'15), New Orleans, LA, March 9-12, 2015. 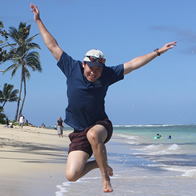 Bin Fu, Chuanhe Huang, Zaixin Lu, Miao Pan and Weili Wu, "Minimizing the Access Time of Multi-item Requests in Wireless Data Broadcast Environments", IEEE International Conference on Mobile Ad-hoc and Sensor Networks (MSN'14), Maui, HI, December 19-21, 2014. Yawei Pang, Yanru Zhang, Yunan Gu, Miao Pan, Zhu Han and Pan Li, "Efficient Data Collection for Wireless Rechargeable Sensor Clusters in Harsh Terrains Using UAVs", IEEE Global Communications Conference (GLOBECOM'14), Austin, TX, December 8-12, 2014. Yan Long, Hongyan Li, Hao Yue, Miao Pan and Yuguang Fang, "Spectrum Utilization Maximization in Energy Limited Cooperative Cognitive Radio Networks", IEEE International Conference on Communications (ICC'14), Sydney, Australia, 10-14 June, 2014. Long Suo, Hongyan Li, Miao Pan and Jiandong Li, "An Efficient Phase based Imperfect Interference Alignment Scheme for 3-user Asymmetric Constant Channel", IEEE Vehicular Technology Conference (VTC'14-Spring), Seoul, Korea, 18-21 May, 2014. Yawei Pang, Zaixin Lu, Miao Pan and Wei Wayne Li, "Charging Coverage for Energy Replenishment in Wireless Sensor Networks", IEEE International Conference on Networking, Sensing and Control (ICNSC'14), Miami, FL, April 7-9, 2014. Yunan Gu, Miao Pan and Wei Wayne Li, "Maximizing the Lifetime of Delay-Sensitive Sensor Networks via Joint Routing and Sleep Scheduling", International Conference on Computing, Networking and Communications (ICNC'14), Honolulu, HI, February 3-6, 2014. Yunan Gu, Miao Pan and Wei Wayne Li, "Prolonging the Lifetime of Large Scale Wireless Sensor Networks via Base Station Placement", IEEE Vehicular Technology Conference (VTC'13-Fall, Best Paper Runner-up), Las Vegas, NV, September 2-5, 2013. Yan Long, Hongyan Li, Miao Pan, Pan Li and Jiandong Li, "Scalable Video Coding Based Video Transmission in MRMC Networks: A Cross-Layer Design Perspective", IEEE International Conference on Communications in China (ICCC'13), Xi'An, China, August 12-14, 2013. Yuanxiong Guo, Miao Pan, Yuguang Fang and Pramod Khargonekar, "Coordinated Energy Scheduling for Residential Households in the Smart Grid", IEEE International Conference on Smart Grid Communications (SmartGridComm'12), Tainan City, Taiwan, November 5-8, 2012. Yue Zhao, Xuming Fang, Miao Pan, Rongsheng Huang and Yuguang Fang, "An Adaptive Resource Allocation in OFDMA Multi-hop Relay Networks", IEEE International Conference on Wireless and Mobile Computing, Networking and Communications (WiMob'12), Barcelona, Spain, October 8-10, 2012. Miao Pan, Yan Long, Hao Yue, Yuguang Fang and Hongyan Li, "Multicast Throughput Optimization and Fair Spectrum Sharing in Cognitive Radio Networks", IEEE Global Communications Conference (GLOBECOM'12), Anaheim, CA, December 3-7, 2012. Miao Pan, Hao Yue, Pan Li and Yuguang Fang, "Throughput Maximization of Cooperative Wireless Mesh Networks Using Directional Antennas", IEEE International Conference on Communications in China (ICCC'12), Beijing, China, August 15-18, 2012. Hao Yue, Chi Zhang, Miao Pan, Yuguang Fang and Shigang Chen, "A Time-efficient Information Collection Protocol for Large-scale RFID Systems", IEEE International Conference on Computer Communication (INFOCOM'12), Orlando, FL, March 25-30, 2012. (Acceptance ratio: 278/1547 = 17.97%). Xinxin Liu, Han Zhao, Miao Pan, Hao Yue, Xiaolin Li and Yuguang Fang, "Traffic-Aware Multiple Mix Zone Placement for Protecting Location Privacy", IEEE International Conference on Computer Communication (INFOCOM'12), Orlando, FL, March 25-30, 2012. (Acceptance ratio: 278/1547 = 17.97%). Miao Pan, Hongyan Li, Pan Li and Yuguang Fang, "Dealing with the Untrustworthy Auctioneer in Combinatorial Spectrum Auction", IEEE Global Communications Conference (GLOBECOM'11), Houston, TX, December 5-9, 2011. Hao Yue, Miao Pan, Rongsheng Huang, Hongxia Zhao and Yuguang Fang, "LIP: A Light-weighted Session-based Incentive Protocol for Multi-hop Cellular Networks", IEEE Global Communications Conference (GLOBECOM'11), Houston, TX, December 5-9, 2011. Miao Pan, Hao Yue, Yuguang Fang and Hongyan Li, "The X Loss: band-mix selection with uncertain supply for opportunistic spectrum accessing", IEEE Global Communications Conference (GLOBECOM'10), Miami, FL, December 6-10, 2010. Miao Pan, Yang Song, Pan Li and Yuguang Fang, "Reward and Risk for Opportunistic Spectrum Accessing in Cognitive Radio Networks", IEEE Global Communications Conference (GLOBECOM'10), Miami, FL, December 6-10, 2010. Miao Pan, Hao Yue, Yuguang Fang and Phone Lin, "A return and risk model for efficient spectrum sharing in cognitive radio networks", 2010 IEEE 71st Vehicular Technology Conference (VTC'10: Spring), Taipei, Taiwan, May 16-19, 2010. Xiaoyan Yin, Xingshe Zhou, Miao Pan and Shining Li, "Admission control with multi-constrained QoS providing in Wireless Sensor Networks", IEEE International Conference on Networking, Sensing and Control (ICNSC'10), Chicago, IL, April 11-13, 2010. Miao Pan, Feng Chen, Xiaoyan Yin and Yuguang Fang, "Fair profit allocation in the spectrum auction using the Shapley value", IEEE Global Communications Conference (GLOBECOM'09), Honolulu, HI, December 1-4, 2009. Miao Pan, Rongsheng Huang and Yuguang Fang, "Cost design for opportunistic multi-hop routing in cognitive radio networks", IEEE Military Communications Conference (Milcom'08), San Diego, CA, November 17-19, 2008. Miao Pan and Yuguang Fang, "Bargaining based pairwise cooperative spectrum sensing for Cognitive Radio networks", IEEE Military Communications Conference (Milcom'08), San Diego, CA, November 17-19, 2008. Miao Pan Jie Chen, Ruoju Liu, Zhiyong Feng, Ying Wang and Ping Zhang, "Dynamic Spectrum Access and Joint Radio Resource Management Combining for Resource Allocation in Cooperative Networks", IEEE Wireless Communications and Networking Conference (WCNC'07), Hong Kong, March 11-15 2007. David Grandblaise, Clemens Kloeck, Tobias Renk, Parimal Bag, Paul Levine, Klaus Moessner, Ji Yang, Miao Pan and Kui Zhang, "Microeconomics Inspired Mechanisms to Manage Dynamic Spectrum Allocation", IEEE International Symposium on New Frontiers in Dynamic Spectrum Access Networks (DySPAN'07), Dublin, Ireland, April 17-20 2007. Miao Pan, Shuo Liang, Haozhi Xiong, Jie Chen and Guangyi Liu, "A Novel Bargaining Based Dynamic Spectrum Management Scheme in Reconfigurable Systems", International Conference on Systems and Networks Communications (ICSNC'06), Tahiti, French Polynesia, October 29-November 3, 2006. Miao Pan, Ruoju Liu, Xihai Han, Yongjing Zhang, Yang Ji and Ping Zhang, "A Novel Market Competition Based Dynamic Spectrum Management Scheme in Reconfigurable Systems", IEEE International Conference on Communication systems (ICCS'06), Singapore, October 30-November 1, 2006. Xihai Han, Hui Wang, Miao Pan, Ji Yang and Ping Zhang, "Light Dark Routing Protocol: An Innovative Infrastructure-assisted Ad-hoc Routing Protocol", IEEE Global Communications Conference (GLOBECOM'06), San Francisco, CA, November 27-30, 2006. Ruoju Liu, Jianhua Zhang, Lei Jiang, Miao Pan, Xinying Gao and Ping Zhang, "Energy-Efficient and Mui-Free Synchronization for UWB Based WSNS", IEEE International Symposium on Personal, Indoor and Mobile Radio Communications (PIMRC'06), Helsinki, Finland, September 11-14, 2006. IEEE Journal on Selected Areas in Communications, IEEE Transactions on Mobile Computing, IEEE Transactions on Parallel and Distributed Systems, IEEE Transactions on Communications, IEEE Transactions on Wireless Communications, IEEE Transactions on Vehicular Technology, IEEE Wireless Communications, ACM Wireless Networks, ACM Wireless Communications and Mobile Computing, Computer Communications, Ad Hoc Networks, etc. IEEE INFOCOM, IEEE SECON, IEEE IWQoS, IEEE MASS, IEEE DySPAN, IEEE GLOBECOM, IEEE ICC, IEEE MILCOM, IEEE WCNC, IEEE WoWMoM, IEEE VTC, ICST CrownCom, ICST QShine, etc. Copyright © Miao Pan. All rights reserved.